We’re proud to present our new release, the two-disc Roll Columbia: Woody Guthrie’s 26 Northwest Songs, which marks the latest chapter in Smithsonian Folkways’ rich history with the iconic songwriter. Boston, MA -- Woody Guthrie may be more popular in the 21st century than he ever was in the 20th. The unexpected success of Mermaid Avenue — the 1998 and 2000 albums of Woody Guthrie lyrics set to music by Billy Bragg, Wilco and others —have sparked a resurgence of interest in Guthrie’s own recordings. Several fine anthologies have been released in this new century, but only this year has the ultimate treasure trove of the songwriter’s earliest recordings been unlocked and shared with the wider world. On Saturday, June 29th at The Caramoor Center for Music and the Arts – Venetian Theater, The Del McCoury Band will headline Caramoor’s American Roots Music Festival – a daylong celebration of folk, string band, country, blues, gospel, and bluegrass music. The concert will mark the world premiere and the only New York performance of The Del McCoury Bands new project, “Del & Woody” featuring unheard and unsung words of Guthrie set to music by Del himself. New York, NY -- Woody Guthrie at 100 Live at the Kennedy Center pays homage to the artistry of American folk musician Woody Guthrie. This new CD+DVD commemorative package captures the historic all-star concert staged in his honor last October in Washington, DC. Featuring performances from Jackson Browne, Rosanne Cash, Judy Collins, Jeff Daniels (reading a letter, not singing), Ani DiFranco, Donovan, Ramblin' Jack Elliott, John Mellencamp, Tom Morello, Old Crow Medicine Show, Lucinda Williams, and many others, the set will be available June 11, 2013 through Legacy Recordings, a division of Sony Music Entertainment. Folk/Activist icon Pete Seeger, 93, surveys past, present and future on two new CDs. A More Perfect Union, which includes guest appearances by Bruce Springsteen, Tom Morello, Steve Earle, Emmylou Harris, and Dar Williams, contains 14 fresh songs that present Pete's and longtime friend and fellow songwriter Lorre Wyatt's responses to recent political, economic and environmental issues alongside gentler appreciations of life’s good moments, meditations on the future, and exhortations to individual action. Saturday, July 14, 2012, would have been the 100th birthday of Woody Guthrie, one of America's most influential 20th-century musicians. In honor of the Woody Guthrie Centennial, Smithsonian Folkways presents an in-depth commemorative collection of songs, photos, and essays. 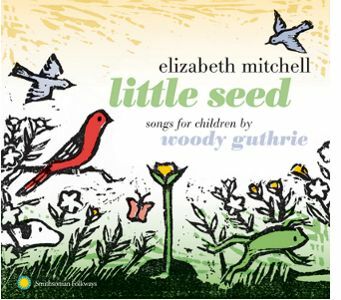 On July 10, Smithsonian Folkways Recordings will release Elizabeth Mitchell's 'Little Seed: Songs for Children by Woody Guthrie,' featuring re-imagined renditions of 13 kid-friendly Guthrie classics. 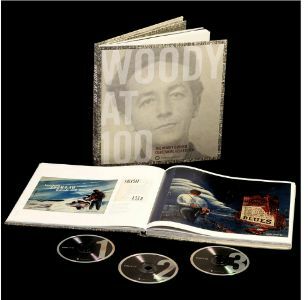 The only album of Guthrie's children's songs coinciding with the Woody Guthrie Centennial (www.woodyat100.com), 'Little Seed' pays tribute to the legendary songwriter's uncanny ability to inhabit both the perspective of a loving, protective parent and the voice of a freewheeling child. The album includes thoughtful versions of children's songs "Riding in My Car," "Grassy Grass Grass," and "Bling Blang." Mitchell also shares her version of "This Land Is Your Land," Guthrie's signature song that many people consider a second national anthem. When folk musician John McCutcheon got his first guitar he pedaled down to his local public library in search of an instruction book and stumbled upon Woody Guthrie Folksongs. 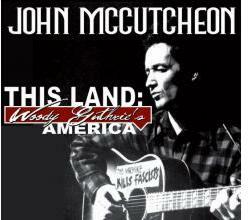 Thus began a lifetime of instruction that comes full-circle in his 35th recording, This Land: Woody Guthrie's America.